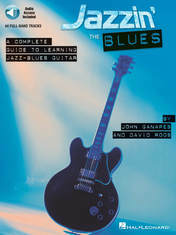 Corrections for the Blues You Can Use and Jazzin' The Blues series. Report an error, get a mention in the Errata (first to report it). pattern 4 as stated in the book. 23 Last note, bar 21, change from C at 10th fret, string 4, to D at 12th fret. and 3). Thanks to bluesbruce for the tip. 84 2nd 1/8 note, beat 2, bar 24, change the E on 1string open to 2nd string, 5th fret. 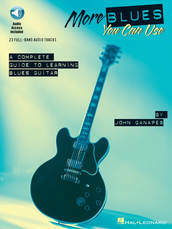 fret )move down 1 fret). 28 G9 chord in measures 4 and 12 should be changed from 10th fret to 9th. it should be on 2nd string, 3rd fret, not 3rd string 7th fret. 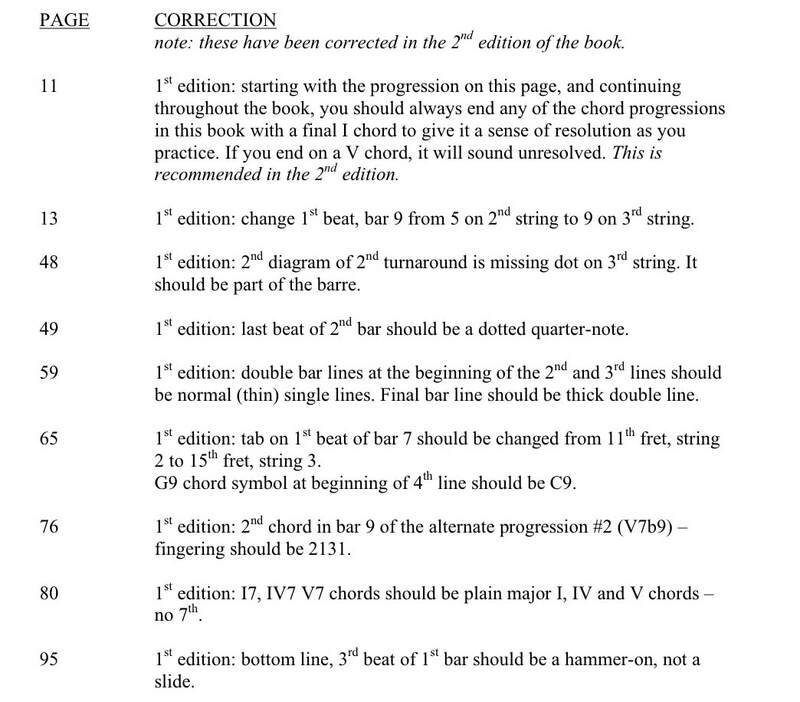 48 1st chord, top of page, should be marked Cm7, not C7. 2nd to last chord in 2nd line: should be in 2nd position (move down 1 fret). 67 Last bar, F7b9#5 chord should be on 7th fret, not 6th. 75 2nd measure, 2nd line, beat 4: 2nd 16th note should be 13 in tab, not 11. Final chord (Gm9) should be Gmin (maj9) as in the end of rhythm part (p. 71). The b7 in the lead on p. 75 clashes with the major7 in rhythm. 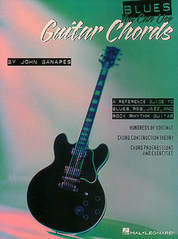 the book (enharmonic) but are correct spelling of the chord. 90 2nd measure, Bluebird accompaniment: Eb9 should be marked at 5th fret, not 6th. I appreciate any reports of errors you may have found. I don't suppose I have found all of them. If you find something you think is off, or odd, please Click Here to contact me and let me know. Thanks.